Quality design is of the essence if you want to create the right balance in your garden. It is also of vital importance to ensure that the design fits the surroundings and your requirements, as well as the climate on Bonaire. That is why we really take the time to discuss your needs with you. We believe that the best result can only be achieved in close consultation with you, our client. 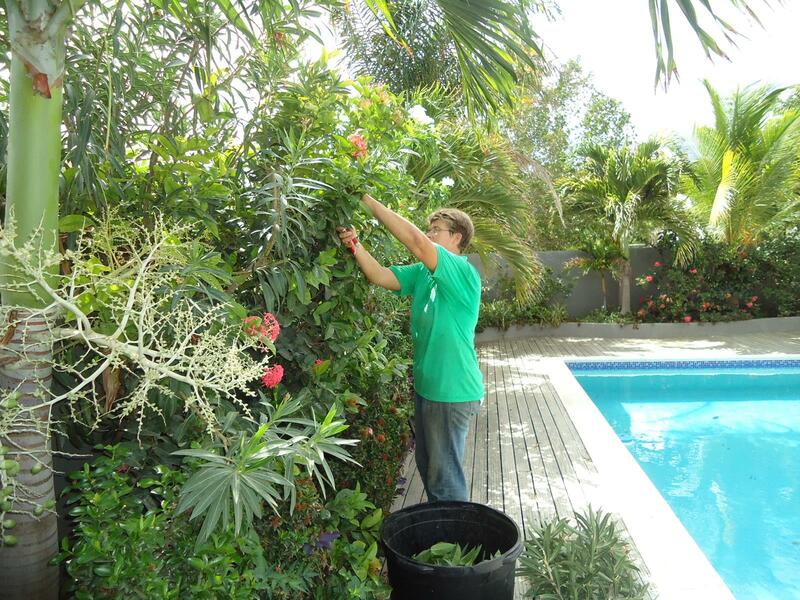 Our team of experienced landscapers guarantees the quality of the construction of your garden. 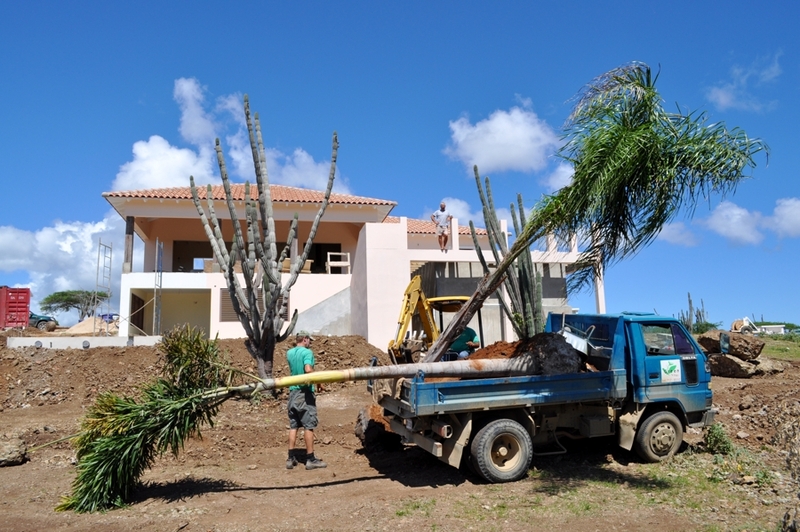 We make use of the latest professional equipment: we can even plant six metre high palm trees without outsourcing any step in the process. 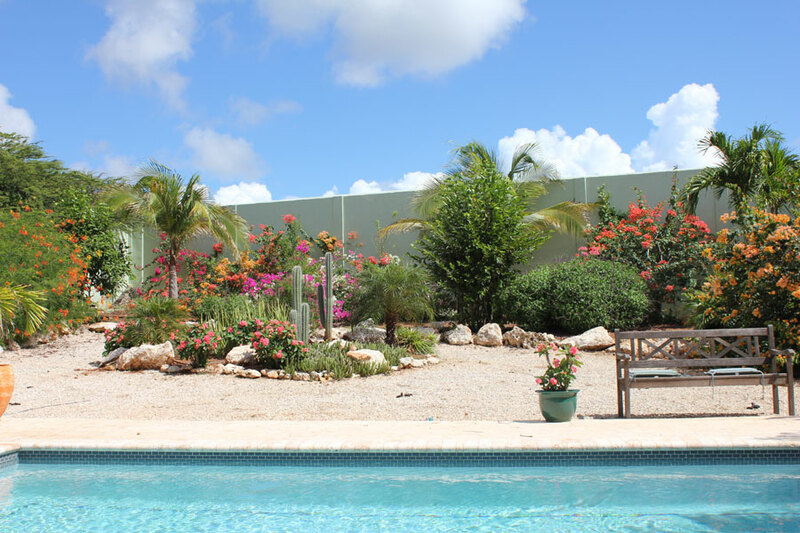 It goes without saying that our choice of plants takes the climate on Bonaire into consideration as we want to make sure that you can enjoy your garden year-round. Our experienced maintenance team sets the standard each day in planting, weed control, pruning, irrigation management, maintenance and repair. A maintenance contract with Green Label includes a re-growing clause, ensuring that you can enjoy your garden for years to come. 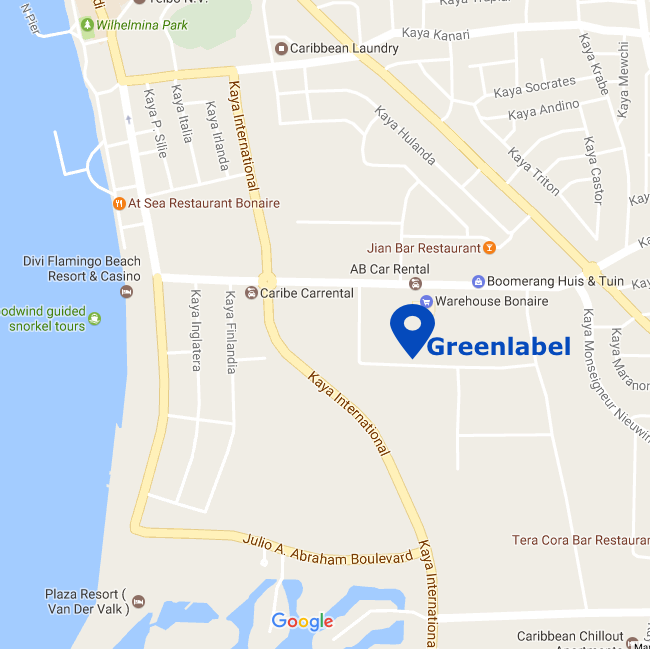 A maintenance contract with Green Label is customized to your specific needs and requirements. We offer a tailer made maintenance contract.